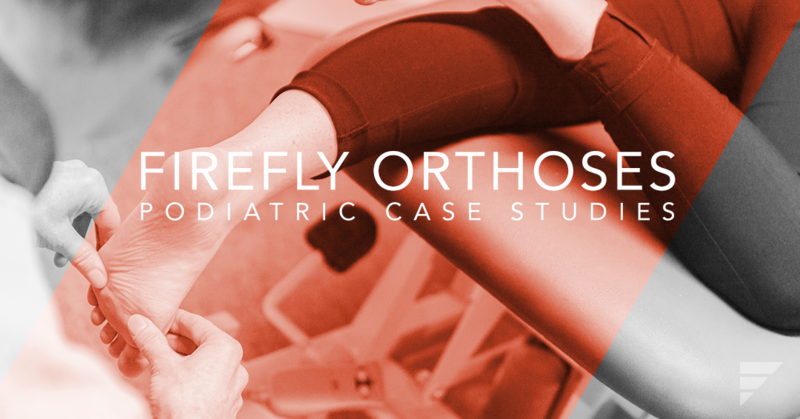 As the industry leader in the design and manufacturing of orthoses, Firefly have acquired a wealth of knowledge through our involvement in research projects such as the a-footprint project and Firefly’s own Firefly Summit and Podiatric Biomechanic Symposia. This page acts as a portal to access all such relevant information. Also found here are reference to many academic articles relevant to Podiatry and Biomechanic Orthotic Therapy. The Firefly MSK Workshop is a one-day theoretical and practical CPD event, designed to provide podiatrists with the ability to assess, diagnose and treat a range of MSK pathologies with confidence. The workshop is fully CPD accredited by the Royal College of Physicians and Surgeons of Glasgow. Our next London event takes place on June 29th and is currently enrolling. On September 29th-30th, 2017, two hundred delegates including podiatrists, surgeons, students of podiatry, physiotherapists and two chiropractors traveled to the northwest coast of Ireland for the Firefly Summit. The summit was designed to share clinical evidence and strengthen relationships within the podiatric community – the motto for the weekend was Learn, Share, Care. Prescribing custom made foot orthoses can seem a daunting prospect. The breath of available components coupled with anatomical variables may seem like information overload. However, at Firefly, one of our goals is to remove such barriers associated with prescribing foot orthotics and present the opportunities these devices can have for the profession. Our case history portfolio reveals how Firefly podiatrists approach common pathologies that can be treated effectively with our range of orthoses. This symposium discussed advances in evidence based treatment for complex foot and ankle pathologies; facilitating podiatrists to learn the latest skills and acquire knowledge to most effectively treat the patient. 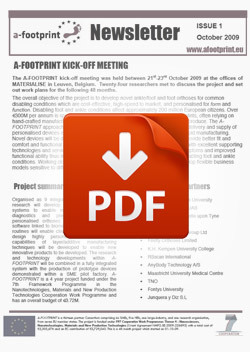 To educate podiatrists to extend their thinking and scope of practice beyond the foot and ankle. To learn new approaches to effectively treat complex ankle and hind-foot condition. Firefly’s inaugural symposium aimed to build upon the wealth of knowledge from North America relating to lower extremity biomechanics and orthotic therapy, and the promotion of custom prescription orthoses as a treatment modality. Firefly Orthoses played a significant role in the A-FOOTPRINT project, a joint research and innovation initiative led by Glasgow Caledonian University. The project’s aim was to develop novel ankle/foot and foot orthoses for common disabling conditions that are cost effective, high-speed to market and personalised for form and function. The A-FOOTPRINT project takes its ‘first steps’ to disseminate results at the leading International Orthotics and Prosthetics trade show and World Congress. Progress at 12 months for the A-FOOTPRINT project. Baltic Orthoservice hosted the 12 month review meeting of the A-FOOTPRINT project in Kaunas, Lithuania. Two work packages in the A-FOOTPRINT project are currently developing patient specific biomechanical models of lower limb and foot. Consortium partners travelled to Glasgow, Scotland to attend the 6 month meeting of the A- FOOTPRINT project. A-FOOTPRINT was one of the sponsoring projects for this strategic roadmap meeting convened to discuss the strategic direction for research and innovation for consumer goods in the global market. Intelligent Manufacturing Systems (IMS) is an inter national programme related to manufacturing technologies. It is an international collaboration between the European Union, the USA, Korea, Japan and Switzerland. The overall objective of the project is to develop novel ankle/foot and foot orthoses for common disabling conditions which are cost-effective, high-speed to market, and personalised for form and function. Access: Athens Account via ScienceDirect Click on the “Login” link (top right of screen), select “OpenAthens login” and enter your athens account details if prompted. Rammelt, S. & Goronzy, J. Understanding of the basic underlying structure of the foot is essential. This paper intends to describe some of the current concepts relating to foot function from a podiatric perspective. The second in a series of two papers from Trevor Prior. This paper aims to review normal function and describe how varying abnormalities can effect this function. A more advanced method of analysis will be described along with some of the options available for treatment. Is There Proof in the Evidence-Based Literature that Custom Orthoses Work? Baitch et al., (1991). Biomechanical analysis of running with 25 degree inverted orthotic devices. Journal of the American Podiatric Medical Association 81: 647-652. Bates et al., (1979a). Foot orthotic devices to modify selected aspects of the lower extremity mechanics. American Journal of Sports Medicine 7: 328-31. D´Ambrosia (1985). Orthotic devices in running injuries. Clinics in Sports Medicine 4(4): 611-618. Eng et al., (1994). The Effect of Soft Foot Orthotics on Three-dimensional Lower-Limb Kinematics During Walking and Running. Physical Therapy 74(9): 836-844. Genova et al., (2000). Effect of Foot Orthotics on calcaneal Eversion During Standing and Treadmill Walking for Subjects With Abnormal Pronation. Journal of Orthopaedic and Sports Physical Therapy 30(11): 664-675. Gross et al., (1991). Effectiveness of orthotic shoe inserts in the long distance runner. American Journal of Sports Medicine 19:409-412. Johanson et al., (1994). Effects of three different posting methods on controlling abnormal subtalar pronation. Physical Therapy 74: 149-61. MacLean CL (2001). Custom Foot Orthoses for Running. Clinics in Podiatric Medicine and Surgery 18(2): 217-223. MacLean CL et al., (2006). Influence of a Custom Foot Orthotic Intervention on Lower Extremity Dynamics in Healthy Runners. Clinical Biomechanics 21: 623-630. McCulloch et al., (1993). The Effect of Foot Orthotics and Gait Velocity on Lower Limb Kinematics and Temporal Events of Stance. Journal of Orthopaedic and Sports Physical Therapy 17(1):2-10. Mundermann et al., (2003). Foot Orthotics Affect Lower Extremity Kinematics and Kinetics During Running. Clinical Biomechanics 18: 254-262. Mundermann et al., (2003). Orthotic Comfort Is Related to Kinematics, Kinetics, and EMG in Recreational Runners. Medicine and Science in Sports and Exercise 35(10): 1710-1719. Mundermann et al., (2004). Consistent Immediate Effects of Foot Orthoses on Comfort and Lower Extremity Kinematics, Kinetics, and Muscle Activity. Journal of Applied Biomechanics 20: 71-84. Nawoczenski et al., (1995). The Effect of Foot Orthotics on Three-Dimensional Kinematics of the Leg and Rearfoot During Running. Journal of Orthopaedic and Sports Physical Therapy 21(6):317-327. Nawoczenski et al., (1999). Electromyographic Effects of Foot Orthotics on Selected Lower Extremity Muscles During Running. Arch Phys Med Rehabil 80: 540-544. Nester et al., (2001). Effect of Foot Orthoses on Rearfoot Complex Kinematics During Walking Gait. Foot & Ankle International 22(2): 133-139. Nigg et al., (1998). Effect of shoe insert construction on foot and leg movement. Medicine and Science in Sports and Exercise 30(4): 550-555. Novick et al., (1990). Position and Movement Changes of the Foot with Orthotic Intervention during Loading response of Gait. Journal of Orthopaedic and Sports Physical Therapy 11(7):301-312. Razeghi et al., (2000). Biomechanical Analysis of the Effect of Orthotic Shoe Inserts. Sports Medicine 29(6): 425-438. Stacoff et al., (2000). Effects of foot orthoses on skeletal motion during running. Clinical Biomechanics 15: 54-64. Williams et al., (2003). Effect of Inverted Orthoses on Lower Extremity Mechanics in Runners. Medicine and Science in Sports and Exercise 35(12): 2060-2068. Bates et al., (1979b). Functional variability of the lower extremity during the support phase of running. Medicine and Science in Sports and Exercise 11:328-331. Engsberg et al., (1987). Kinematic analysis of the talocalcaneal/talocrural joints during running support. Medicine and Science in Sports and Exercise 19:275-84. Hamill J et al., (1992). Timing of lower extremity joint actions during treadmill running. Medicine and Science in Sports and Exercise 24: 807-813. Hunt et al., (2001). Inter-segment foot motion and ground reaction forces over the stance phase of walking. Clinical Biomechanics 16: 592-600. McClay et al., (1997). Coupling parameters in runners with normal and excessive pronation. Journal of Applied Biomechanics 13:109-24. Lundberg et al., (1989). Kinematics of the ankle/foot complex: plantarflexion and dorsiflexion. Foot & Ankle International 9(4): 194-200. Lundberg et al., (1989). Kinematics of the ankle/foot complex: Part II pronation and supination. Foot & Ankle International 9(5): 248-253. Lundberg et al., (1989). Kinematics of the ankle/foot complex: Part III Influence of leg rotation. Foot & Ankle International 9(6): 304-309. McClay et al., (1998). A comparison of three-dimensional lower extremity kinematics during running between excessive pronators and normals. Clinical Biomechanics 13(3): 195-203. McClay et al., (1999). Three-dimensional kinetic analysis of running: significance of the secondary planes of motion. Medicine and Science in Sports and Exercise 31: 1629-1637. Nawoczenski et al., (1998). The Effect of Foot Structure on the Three-Dimensional Kinematic Coupling Behavior of the Leg and Rear Foot. Physical Therapy 78(4):404-416. Nester et al., (2000). Shank Rotation: A Measure of Rearfoot Motion During Normal Walking. Foot & Ankle International 21(7): 578-583. Nester et al., (2001). Scientific Approach to the Axis of Rotation at the Midtarsal Joint. Journal of the American Podiatric Medical Association 91(2): 68-73. Nigg BM et al., (1993). Effects of arch height of the foot on angular motion of the lower extremity in running. Journal of Biomechanics 26: 909-916. Reischi et al., (1999). Relationship Between Foot Pronation and Rotation of the Tibia and Femur During Walking. Foot & Ankle International 20(8): 513-520. Stacoff et al., (2000). Movement Coupling at the Ankle During the Stance Phase of Running. Foot & Ankle International 21(3): 232-239. Stergiou et al., (1997). The relationship between subtalar and knee joint function as a possible mechanism for running injuries. Gait & Posture 6:177-185. McPoil TG, Cornwal MW. Use of plantar contact area to predict medial longitudinal arch height during walking. 2006; 96(6):489-494. Schuster RO. Ahistory of orthopaedics in podiatry. J Am Podiatr Med Assoc. 1974;64:332-345. Dananberg HJ, Guiliano M. Chronic low-back pain and its response to custom-made foot orthoses. J Am Podiatr Med Assoc. 1999;89:109-117. Dorland’s Illustrated Medical Dictionary. 25th ed. Philadelphia, PA: W.B. Saunders;1974. Kirby KA: Foot and Lower Extremity Biomechanics II: Precision Intricast Newsletters, 1997-2002. Payson, AZ: Precision Intricast; 2002. Walter JH, Ng G, Stoitz JJ. A patient satisfaction survey on prescription custom-molded foot orthoses. J Am Podiatr Med Assoc. 2004; 94:363-367. Moraros J, Hodge W.Orthotic survey: preliminary results. J Am Podiatr Med Assoc. 1993;83:139-148. Donatelli R, Hurbert C, Conaway, DO, et al. Biomechanical foot orthotics: a retrospective study. J Orthop Sports Phys Ther. 1988;10:205-212. Gross MT, Byers JM, Krafft JL, et al. The impact of custom semi-ridid foot orthotics on pain and disability for individuals with plantar fasciitis. J Orthop Sports Phys Ther. 2002;32:49-149. Chalmers AC, Busby C, Goyert J, et al. Metarsalgia and rheumatoid arthritis – a randomized, single blin, sequential trial comparing two types of foot orthoses and supportive shoes. J Rheum. 2000;27:1643-1647. Woodburn, J, Barker S, Helliwell PS. A randomized controlled trial of foot orthoses in rheumatoid arthritis. J Rheum. 2002;29:1377-1383. Mejjad O, Vittecoq O, Pouplin S, et al. Foot orthotics decrease pain but do not improve gait in rheumatoid arthritis patients. Joint Bone Spine 2004;71:542-545. Powell M, Seid M, Szer IA. Efficacy of custom foot orthotics in improving pain and functional status in children with juvenile idiopathic arthritis: a randomized trial. J Rheum. 2005;32:943-950. Thompson JA, Jennings MB, Hodge W. Orthotic therapy in the management of osteoarthritis. J Am Podiatr Med Assoc. 1992;82:136-139. Slattery M, Tinley P. The efficacy of functional foot orthoses in the control of pain and ankle joint disintegration in haemophilia. J Am Podiatr Med Assoc. 2001;91:240-244. D’Ambrosia RD. Orthotic devices in running injuries. Clin Sports Med. 1985;4:611-618. Dugan RC, D’Ambrosia RD. The effect of orthotics on the treatment of selected running injuries. Foot Ankle 1986;6:313. Eggold JF. Orthotics in the prevention of runner’s overuse injuries. Phys Sports Med. 1981;9:181-185. Kilmartin TE, Wallace WA. The scientific basis for the use of biomechanical foot orthoses in the treatment of lower limb sports injuries-a review of the literature. Br J Sports Med. 1994;28:180-184. Blake RL, Denton JA. Functional foot orthoses for athletic injuries: a retrospective study. J Am Podiatr Med Assoc. 1991;19:409-412. Gross ML, Davlin LB, Evanski PM. Effectiveness of orthotic shoe inserts in the long distance runner. Am J Sports Med. 1991;19:409-412. Saxena A, Haddad J. The effect of foot orthoses on patellofemoral pain syndrome. J Am Podiatr Med Assoc. 2003;93:264-271. Morton DJ. The Human Foot: Its Evolution, Physiology, and Functional Disorders. New York, NY: Columbia University Press; 1935. Root ML. How was the Root functional orthotic developed? Podiatry Arts Lab Newsletter. 1981. Root ML, Orien WP, Weed JH, Hughes RJ. Biomechanical Examination of the Foot. Vol. 1. Los Angeles, CA: Clinical Biomechanics; 1971. Sgarlato TE, ed. A Compendium of Podiatric Biomechanics. San Francisco: California College of Podiatric Medicine; 1971. Kirby KA, Green DR. Evaluation and non operative management of pes valgus. In:DeValentine S, ed. Foot and Ankle Disorders in Children. New York, NY: Churchill Livingstone; 1992:295-327. Kirby KA. Methods for determination of positional variations in the subtalar joint axis. J Am Podiatr Med Assoc. 1987;77:228-234. Kirby KA. Rotational equilibrium across the subtalar joint axis. J Am Podiatr Med Assoc. 1989;79:1-14. Blake RL. Inverted functional orthoses. J Am Podiatr Med Assoc. 1986;76:275-276. Baitch SP, Blake RL, Fineagan PL, Senatore J. Biomechanical analysis of running with 25 degree inverted orthotic devices. J Am Podiatr Med Assoc. 1991;81:647-652. Blake RL, Ferguson H. Foot orthoses for the severe flatfoot in sports. J Am Podiatr Med Assoc. 1991;81:549-555. Blake RL, Ferguson H. The inverted orthotic technique : its role in clinical biomechanics. In: Valmassy RL, ed. Clinical Biomechanics of the Lower Extremities. St. Louis, MO: Mosby-Year Book; 1996:465-497. Kirby KA. The medial heel skive technique: improving pronation control in foot orthoses. J Am Podiatr Med Assoc. 1992;82:177-188. Kirby KA. Subtalar Joint Axis Location and Rotational Equilibrium Theory of Foot Function. Payson, AZ: Precision Intricast; 2001;91:465-488. Kirby KA. Biomechanics and the treatment of flexible flatfoot deformity in children. PBG Focus, J. Podiatric Biomechanics Group. 1999;7:10-11. Kirby KA. Conservative treatment of posterior tibial dysfunction. Podiatry Management. 2000;19:73-82. Kirby KA. Foot and Lower Extremity Biomechanics: A Ten-Year Collection of Precision Intricast Newsletters. Payson, AZ: Precision Intricast; 1997. Kirby KA. Lateral Heel Skive Orthosis Technique. Precsion Intricast newsletter. Payson, AZ: Precision Intricast; 2004. Fuller EA. Center of pressure and its theoretical relationship to foot pathology. J Am Podiatr Med Assoc. 1999;89(6):278-291. Nigg BM. The role of impact forces and foot pronation: a new paradigm. Clin J Sport Med. 2001;11:2-9. Payne CB. 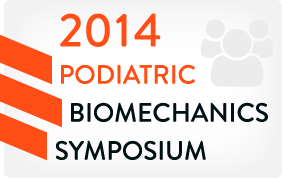 The past, present and future of podiatric biomechanics. J Am Podiatr Med Assoc. 1998;88:53-63. Lee WE. Podiatric biomechanics: an historical appraisal and discussion of the Root model as a clinical system of approach in the present context of theoretical uncertainty. Clin Pod Med Surg. 2001;18:555-684. Bates BT, Osternig LR, Mason BR, James LS. Foot orthotic devices to modify selected aspects of lower extremity mechanics. Am J Sports Med. 1979;7:328-331. Smith LS, Clarke TE, Hamill CL, Santopietro F. The effects of soft and semi-rigid orthoses upon rearfoot movement in running. J Am Podiatr Med Assoc. 1986;76:227-232. Novick A, Kelley DL. Position and movement changes of the foot with orthotic intervention during loading response of gait. J Orthop Sports Phys Ther. 1990;11:301-312. McCulloch MU, Brunt D, Vender Linden D. The effect of foot orthotics and gait velocity on lower limb kinematics and temporal events of stance. J Orthop Sports Phys Ther. 1993;17(1):2-10. Butler RJ, McClay-Davis IS, Laughton CM, Hughes M. Dual-function foot orthosis: effect on shock and control of rearfoot motion. Foot Ankle Intl. 2003;24:410-414. Laughton CA, McClay-Davis IS, Hamill J. Effect of strike pattern and orthotic intervention on tibial shock during running. J Appl Biomech. 2003;19:153-168. Mundermann A, Nigg BM, Humble RN, Stefanyshyn DJ. Foot orthoses affect lower extremity kinematics and kinetics during running. Clin Biomech. 2003;18:254-262. Williams DS, McClay-Davis I, Baitch SP. Effect of inverted orthoses on lower extremity mechanics in runners. Med Sci Sports Exerc. 2003;35:2060-2068. MacLean CL, Hamill J. Short and long-term influence of a custom foot rthtoic intervention on lower extremity dynamics in injured runners. Annual ISB Meeting; September 2005; 2005 Cleveland, OH. Nawoczenski DA, Cook TM, Saltzman CL. The effect of foot orthotics on three-dimensional kinematics of the leg and rearfoot during running. J Orthop Sports Phys Ther. 1995;21:317-327. Stackhouse CL, Davis IM, Hamill J. Orthotic intervention in forefoot and rearfoot strike running patterns. Clin Biomech. 2004;19:64-70. McPoil TG, Hunt GC. Evaluation and management of foot and ankle disorders: present problems and future directions. J Orthop Sports Phys Ther. 1995;21:381-388. Fuller EA. Reinventing biomechanics. Podiatry Today. 2000;13(7):30-36. Nester CJ, Hutchins S, Bowker P. Effect of foot orthoses on rearfoot complex kinematics during walking gait. Foot Ankle Intl. 2001;21:133-139. Nester CJ, Van Der Linden ML, Bowker P. Effect of foot orthoses on the kinematics and kinetics of normal walking gait. Gait Posture. 2003;17:180-187. Woodburn J, Helliwell PS, Barker S. Changes in 3D joint kinematics support the continuous use of orthoses in the management of painful rearfoot deformity in rheumatoid arthritis. J Rheum. 2003;30:2356-2364. Nawoczenski DA, Ludewig PM. Electromyographic effects of foot orthotics on selected lower extremity muscles during running. Arch Phys Med Rehab. 1999;80:540-544. Tomaro J, Burdett RG. The effects of foot orthotics on the EMG activity of selected leg muscles during gait. J Orthop Sports Phys Ther. 1993;18:532-536. Mundermann A, Wakeling JM, Nigg BM, et al. Foot orthoses affect frequency components of muscle activity in the lower extremity. Gait Posture. 2006;23(3):295-302. Mundermann A, Nigg BM, Humble RN, Stefanyshyn DJ. Orthotic comfort is related to kinematics, kinetics, and EMG in recreational runners. Med Sci Sports Exerc. 2003;35:1710-1719. Postema K, Burm PE, Zande ME, Limbeek J. Primary metatarsalgia: the influence of a custom moulded insole and a rockerbar on plantar pressure. Prosthet Orthot Int. 1998;22:35-44. Li CY, Imaishi K, Shiba N, et al. Biomechanical evaluation of foot pressure and loading force during gait in rheumatoid arthritic patients with and without foot orthoses. Kurume Med. 2000;J47:211-217. Lobmann R, Kayser R, Kasten G, et al. Effects of preventative footwear on foot pressure as determined by pedobarograpy in diabetic patients: a prospective study. Diabet Med. 2001;18:314-319. Duffin AC, Kidd R, Chan A, Donaghue KC. High plantar pressure and callus in diabetic adolescents. Incidence and treatment. J Am Podiatr Med Assoc. 2003;93:214-220. Cheung JT, Zhang M. A 3-dimensional finite element model of the human foot and ankle for insole design. Arch Phys Med Rehabil. 2005;86:353-358. Guskiewicz KM, Perrin DH. Effects of orthotics on postural sway following inversion ankle sprain. J Orthop Sp Phys Ther. 1996;23:326-331. Hertel J, Denegar CR, Buckley WE, et al. Effect of reafoot orthotics on postural control in healthy subjects. J Sport Rehabil. 2001;10:36-47. Rome K, Brown CL. Randomized clinical trial into the impact of rigid foot orthoses on balance parameters in excessively pronated feet. Clin Rehab. 2004;18:624-630. Stergiou et al., (1999). Asynchrony between subtalar and knee joint function during running. Medicine and Science in Sports and Exercise 31(11): 1645-1655.